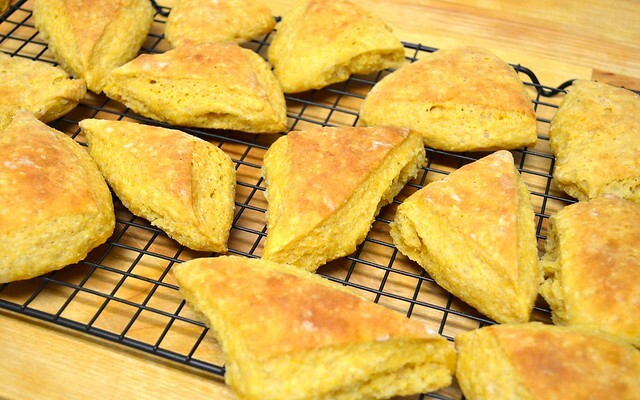 Since I've been trying my hand at vegan desserts and baking these days, I figured it was high time to return to one of the classics: a soft, barely-sweet biscuit. Of course, with a bit of a twist: sweet potato and honey. And since they aren't overwhelmingly sugary on their own, I figured these would pair wonderfully with the spicy ginger and snappy flavor of one of my (new) favorite vegetables: rhubarb. 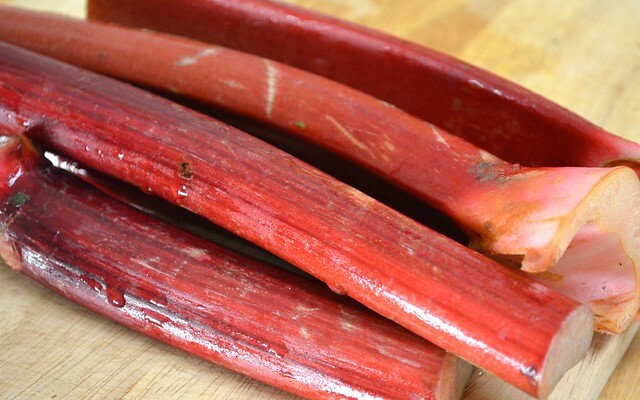 It is weird, right, that rhubarb is technically a vegetable, and yet it keeps showing up in all of our desserts? I mean, I guess if carrots can get into our cakes and potatoes into our biscuits (ahem), there's space in the sweet spectrum for another vegetable. In the bowl of a food processor, combine your flours, baking powder, yeast and salt. Pulse together so that everything is evenly combined. 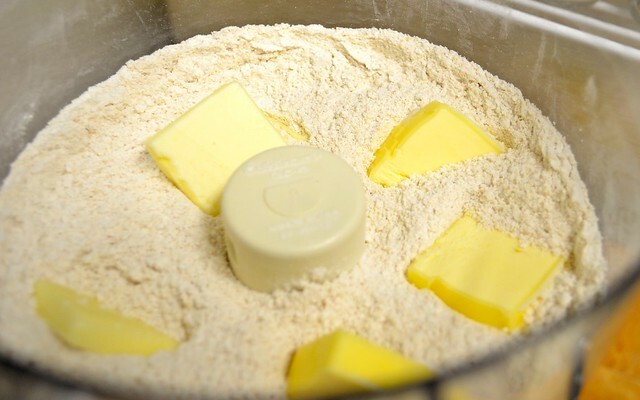 Cut your butter (quickly, so it stays cold) into cubes and add to the food processor. Also add your coconut oil and pulse until your mixture is crumbly and transfer to a large mixing bowl. 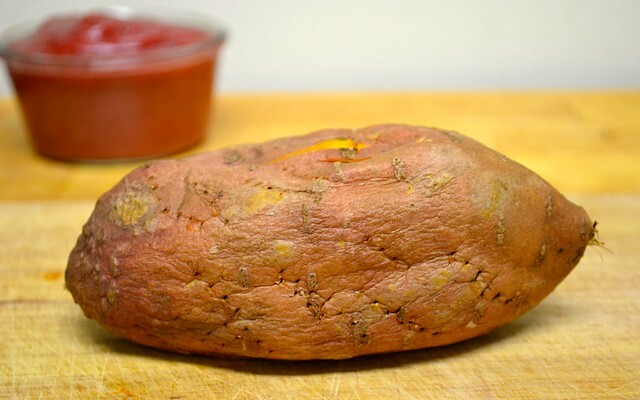 Take your 1/3 cup of sweet potato (baked and cooled) and push through a fine strainer to remove any lumps or stringiness. 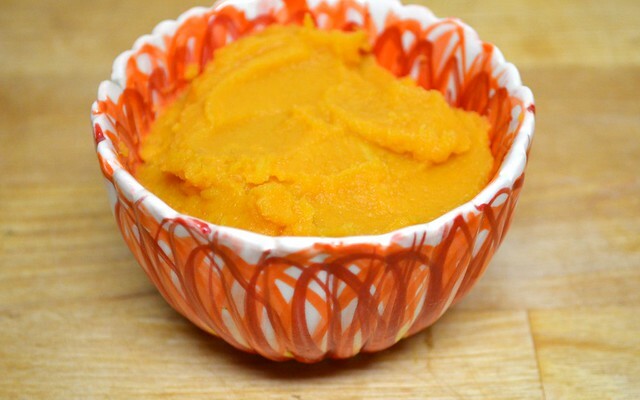 In a smaller bowl, whisk your smooth sweet potato together with your cardamom and cinnamon. Then whisk in your egg, buttermilk and honey. Form a small well in your dry ingredients and quickly add your wet ingredients. Fold together until you've achieved a smooth (but still very sticky) batter. Cover tightly with plastic wrap and set aside for 1 1/2 hours to rise, or until it's about doubled in size. 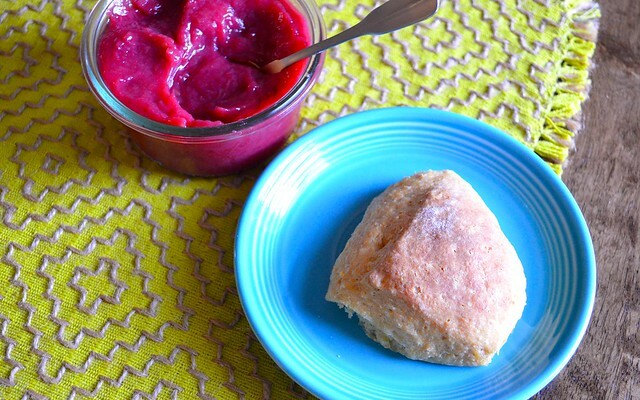 Meanwhile, now is a great time to whip up your rhubarb butter. 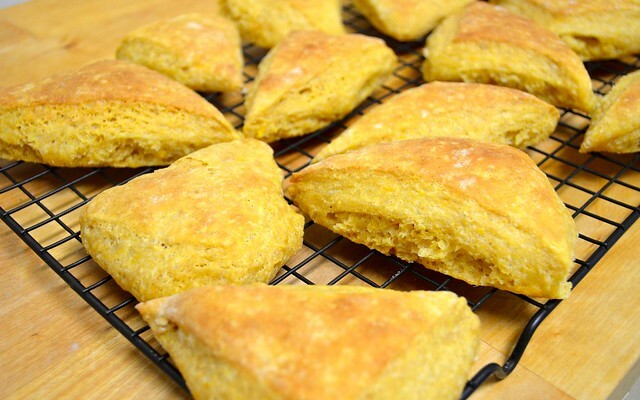 Really, anytime is a good time to do it, but seeing as it goes just great with the subtle spice in these sweet potato biscuits, now is an especially good time. 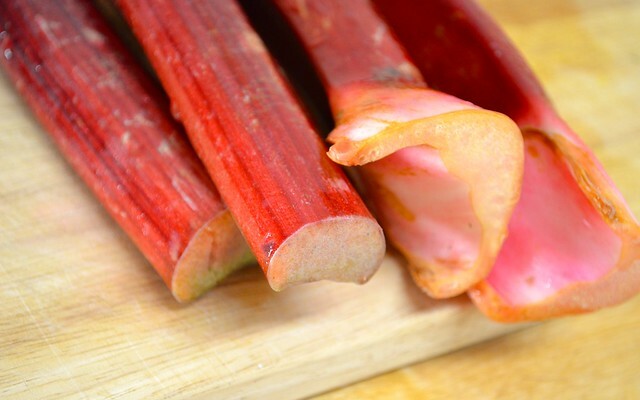 Also, a quick thought on picking out rhubarb: redder is better. Many times you'll see green or greenish stalks mixed in with the red, but they don't have as much flavor. 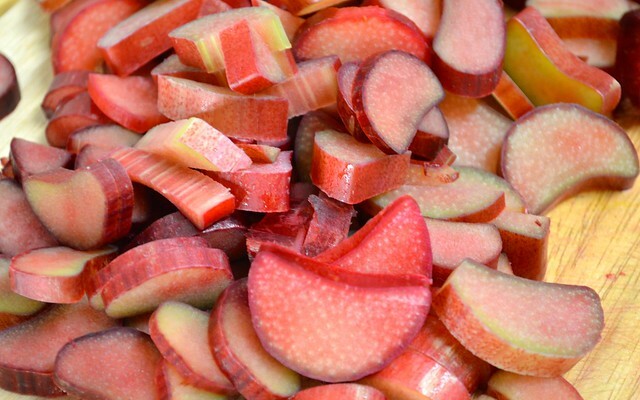 So give your (red) rhubarb a good scrub and trim off any rough-looking ends. Slice into half-inch pieces. Add to a small-medium size saucepan with your sugar, fresh ginger and lemon juice. Heat on a medium heat until your rhubarb begins to bubble and the stalks begin to soften, about 10-15 minutes, stirring often. 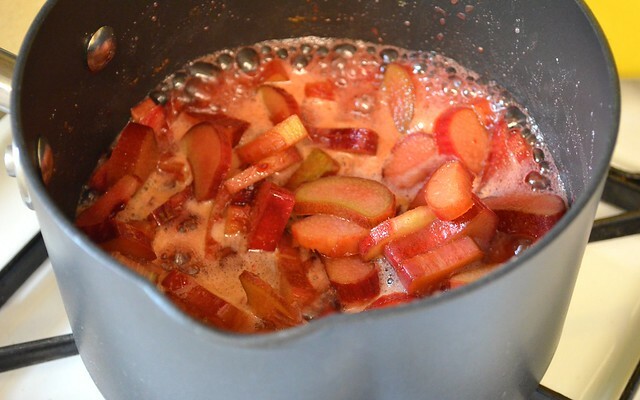 Once the rhubarb is completely broken down, remove from the heat and set aside to cool slightly. Once cool enough (which, it's all relative, isn't it? 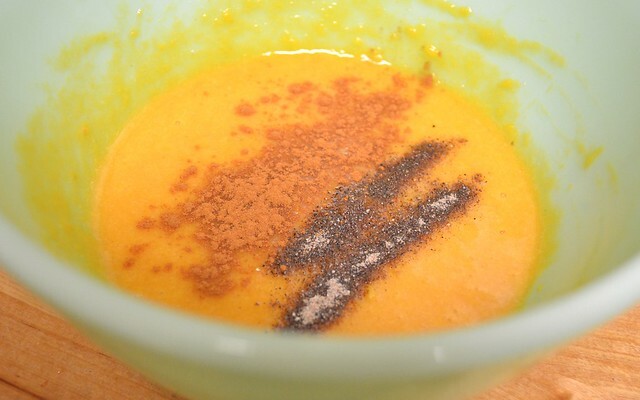 ), using a blender (handheld or not), blend together until smooth. Now, you can remove the ginger medallion (carefully!) before blending or not, depending on how strong you want the ginger flavor to be. I've tried it with and without and both ways are wonderful. When the dough is ready, flour your workspace and transfer your dough. Knead 10-20 times to make it a bit smoother, adding flour as you need it. Roll your dough out into a (lopsided) rectangle. 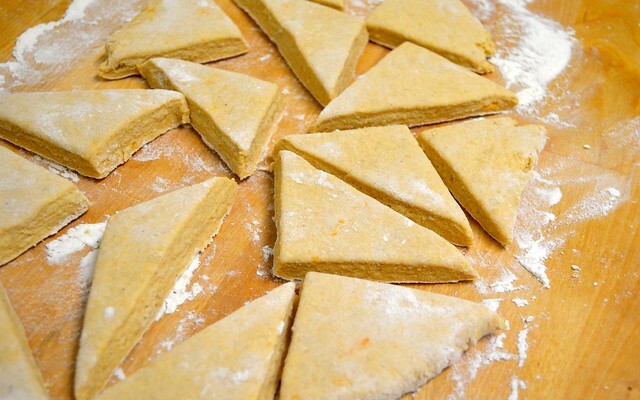 Using a dough cutter, cut your dough first into four squares, then each square into four triangles. You can then cut these triangles in half, or leave them on the larger side if you prefer. Transfer to a parchment lined baking sheet, giving them about 1-inch of space in between. Cover loosely with plastic wrap and let rise for one hour (last one, I promise!). When the final hour is almost up, preheat your oven to 375 degrees. Bake for 10 minutes before increasing the temperature to 400. Bake for another 5 minutes or until beautifully browned on top. 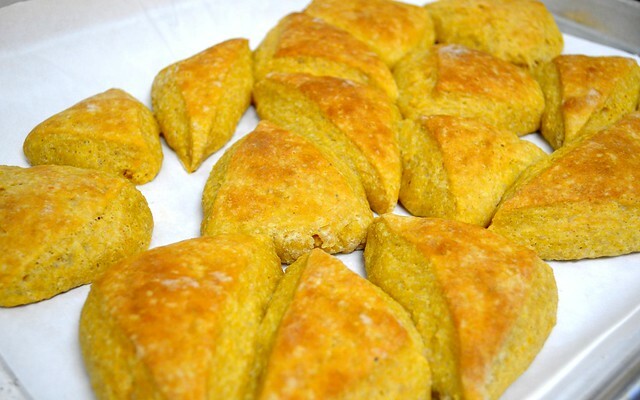 These biscuits are light in texture with a subtle hint of spice, making them perfect as a dinner side (with butter?!) or the front and center at the breakfast table. With warm rhubarb butter, of course.